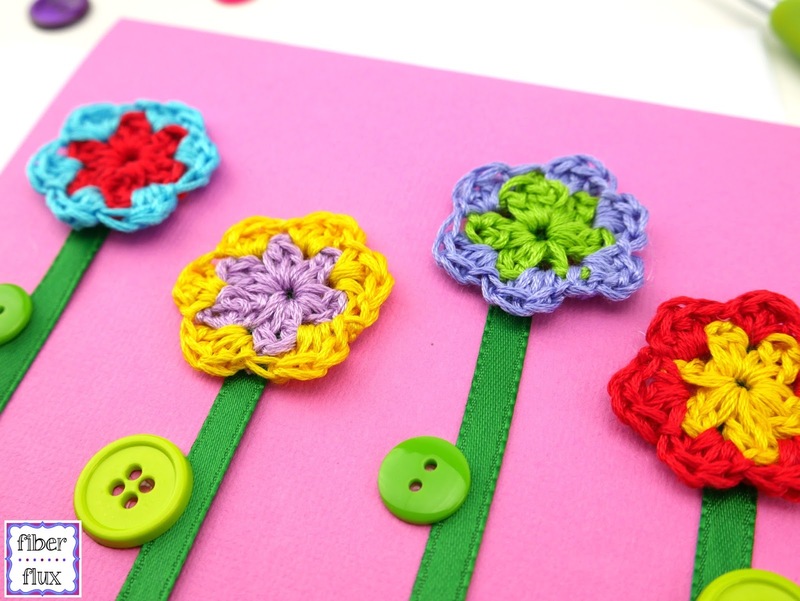 Fiber Flux: Free Crochet Pattern...Pretty Blossoms Greeting Card! Free Crochet Pattern...Pretty Blossoms Greeting Card! 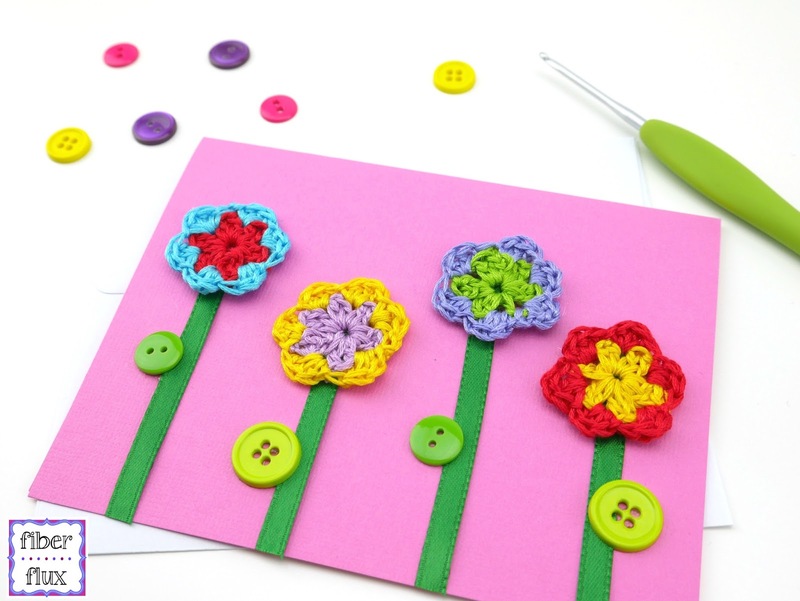 The Pretty Blossoms Greeting Card is a fun project that adds a beautiful handmade touch to an otherwise plain card. 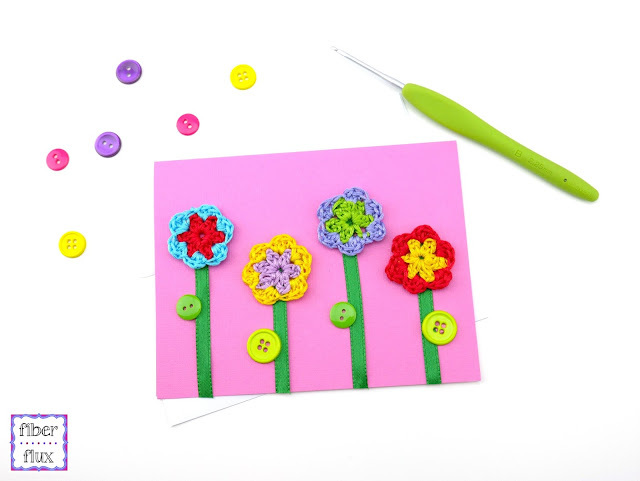 Embellished with buttons, ribbons, and fabulous little crocheted flowers, the card is perfect for any occasion! Glue ribbon to create stems as shown in the photos (leave a little ribbon overhang along the bottom edge so you can trim neatly later). Glue flowers to top of each stem. Add green buttons for "leaves" and trim along bottom edge of card to remove excess ribbon and create a neat edge. Allow glue to dry completely before placing in envelope.